For once, I’m doing an early post! I’m planning on being super productive today, so thought I would get Sunday Sevens done and dusted early 🙂 Enjoy! 1. 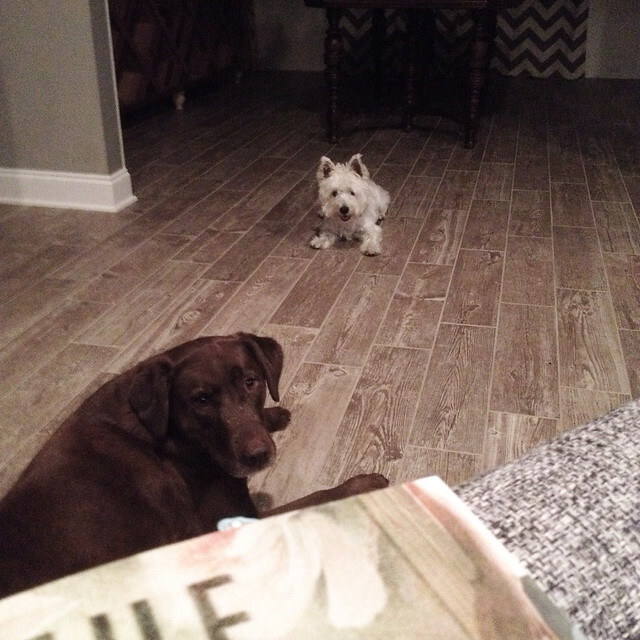 We dog sat for a couple of days at the start of the week. It was lovely for Maisy to have a play friend and a garden to run around in. Sophie dog was really well behaved too! 2. The house we were dog sitting in is much closer to woodland than we are at our apartments. That meant unexpected visitors! 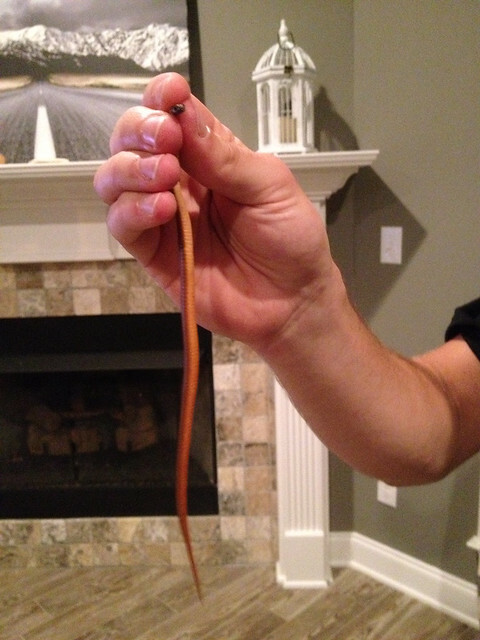 I didn’t even notice this little snake on the doorstep until something tickled my foot – it was close to going up my trouser leg! 3. WE FOUND DAIRYMILK AND BOUGHT IT ALL! 4. 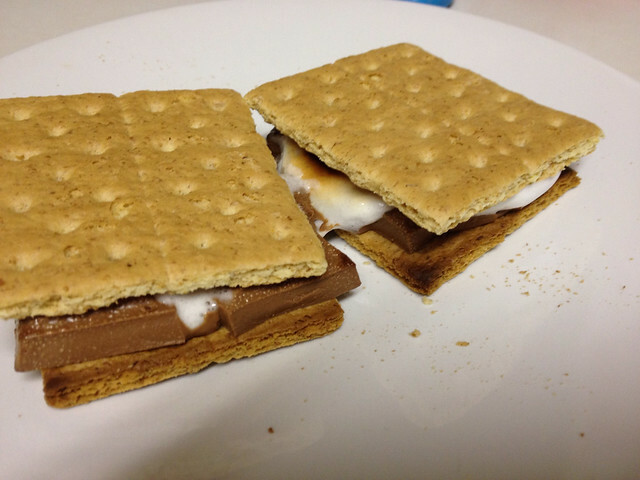 I tried my first ever s’more with the Dairymilk chocolate we had bought. They are delicious! 6. 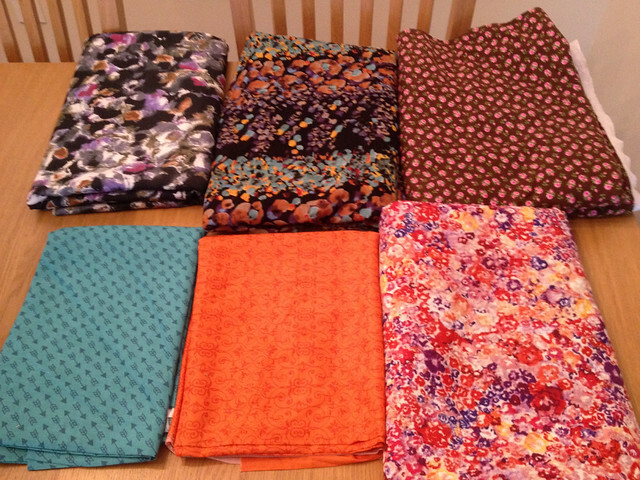 I also bought a few fabrics! The bottom centre and left were $2.50 yard and will be used as dress linings. All the others were in the sale AND had 50% off. The bottom right is linen ($3 yard), top right is jersey ($3 yard), top centre is cotton lawn ($3 yard) and the top left is a stretchy denim ($4 yard)… all bargains! 7. 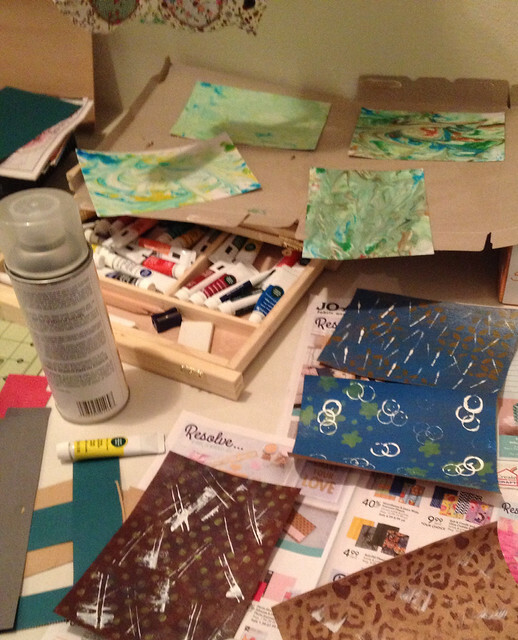 I set up a craft/painting station to start some handmade postcards and Artist Trading Cards. The postcards I have planned require a few layers of paint + other materials so they are drying between other jobs. She loved having a play friend! It was nice to see them just playing and then laying down together 🙂 I’ve almost decided what I’m going to make with them but then I keep changing my mind – I’m thinking ultimate trousers or capri pants with the denim?! Don’t you just love finding a fabric sale!?! My son’s favorite chocolate is Dairymilk and now I must try using it to make s’mores…..
Cadbury’s is amazing – it’s not quite the same now Hershey owns it though You should still try s’mores with it!! WHAT possessed you to even mention the snake thing?!? Now I’m going to have the creepy-crawlies for hours . . . . But more importantly, did you find the Dairy Milk to be the same as the stuff in the UK? I thought that I had heard the Cadbury chocolate you get in the U.S. isn’t as good, but hopefully you didn’t find that to be the case. 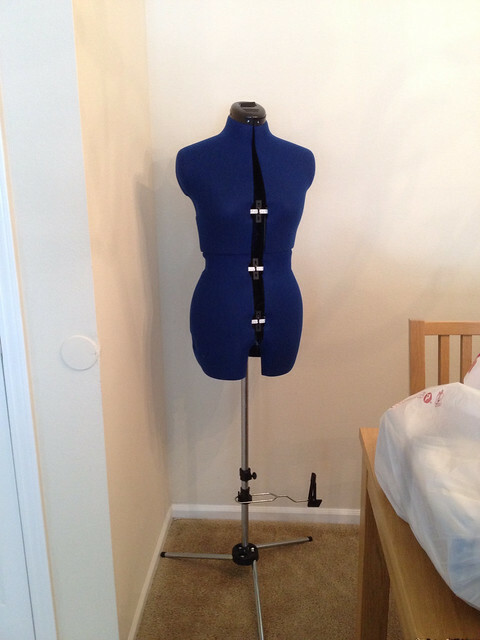 And congrats on the dress form–I bet that’s going to be a big help! 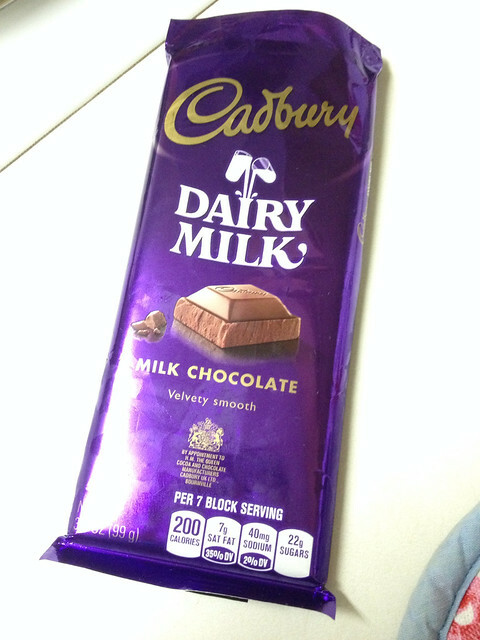 So the Dairymilk was slightly different but I’ve heard that the stuff in the UK has changed since Hershey started owning it so I don’t mind – it’s still my favorite! Sorry about giving you the creepy-crawlies! Ha! Thank you – no worries about being late 🙂 We all do Monday Sevens occasionally! S’mores are crackers, chocolate & mashmallows…but I think the crackers are more like thin digestive biscuits, not really what I would call a cracker! I think traditionally you are supposed to melt the marshmallow on a fire and then make the s’more sandwich, but I did them under the grill 🙂 You should try them! My teeth hurt just thinking about it but I’ll take your word that they’re nice!